Get ready to fall in love with our Elegant Series. This collection of jewelry features understated designs that people will take notice of. Each piece is beautifully crafted and looks expensive, but you won’t have to break the bank to purchase anything. Seen here is the Harmonious Union ring. 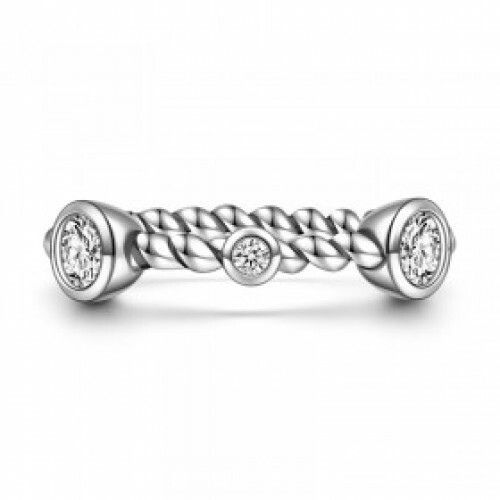 It features a twisted band that has an intense sheen to it, due to the smooth polish it has been given. This ring has been set with faux diamonds that give off a wonderful sparkle and look like the real thing. What’s great about thin rings like this is that they can be stacked, or worn on multiple fingers for a fabulous ring party. 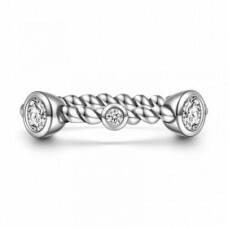 The Harmonious Union CZ ring would also make for a fantastic wedding ring or promise ring if you are in the market for one.